Ballina Chamber of Commerce has never been so busy, and the month of July is not over yet. 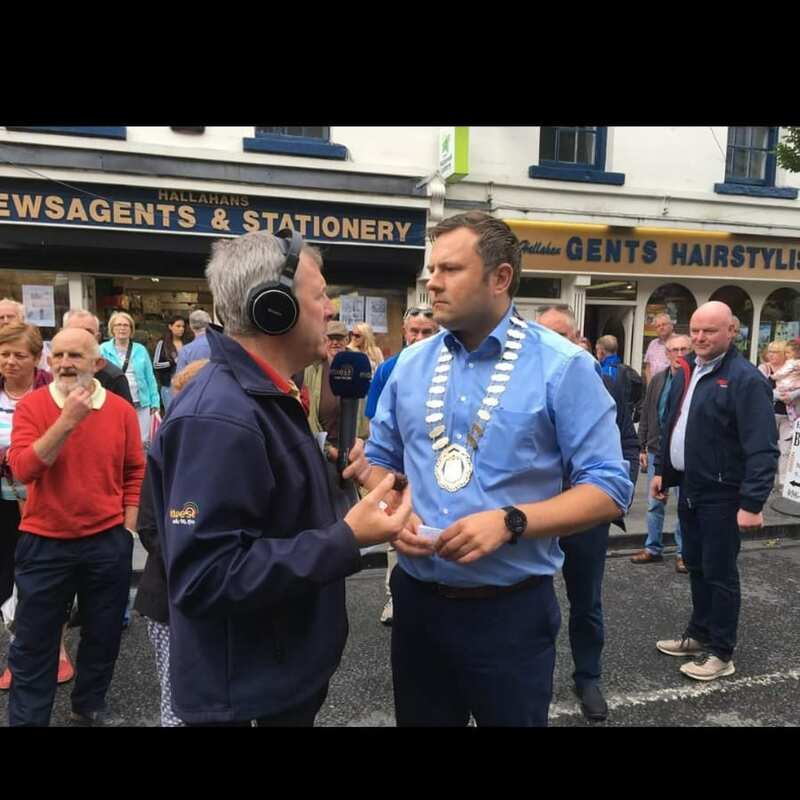 Remove the fact that Ireland’s largest community festival, Ballina Salmon Festival, has just gone through the town like a tornado, Ballina Chamber has been working steadily in the background, canvassing, networking and lobbying on behalf of the Ballina and North Mayo Business Community. Hugh Rouse President of Ballina Chamber of Commerce attended a welcome reception at Ballina Civic Offices meeting with a group of people from our twin town of Pittsfield, MA who visited Ballina throughout the week of Ballina Salmon Festival and the group also celebrated the 20th anniversary of a delegation from Pittsfield very first visit to Ballina. Hugh was also interviewed on Mid West Radio discussing the various initiatives, festivals and events Ballina is running throughout the year. Hugh also promoted Ballina as a great place to live, work and enjoy, with big events such as Other Voices coming to town in September, and Food Fleadh Ballina returning for its fifth year. 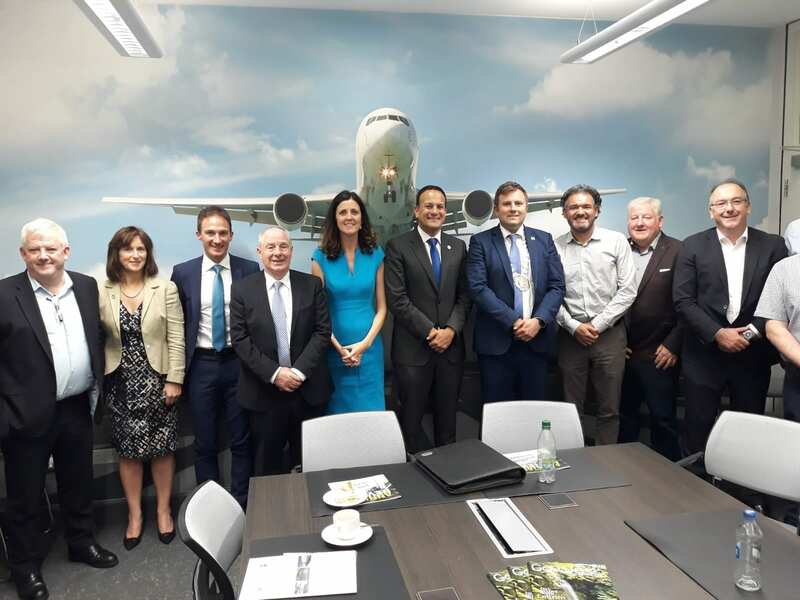 On Friday 13th July, Senator Michelle Mulhern organised business leaders from Ballina to meet with an Taoiseach Leo Varadkar. Hugh Rouse, President of the Chamber had an opportunity to identify some areas that need development and government assistance. FDI companies such as Ballina Beverages and Hollister were also in attendance. Ballina Chamber of Commerce Office Manager Mags Downey Martin attended a two day Chambers forum in Athlone meeting the Executive Director of IDA Ireland Mary Buckley, Manager Midlands Regional Business Development IDA Ireland Ken Whitelaw, CEO Chamber Ireland Ian Talbot and various Presidents, CEO’s and Managers of the Chambers Ireland network. 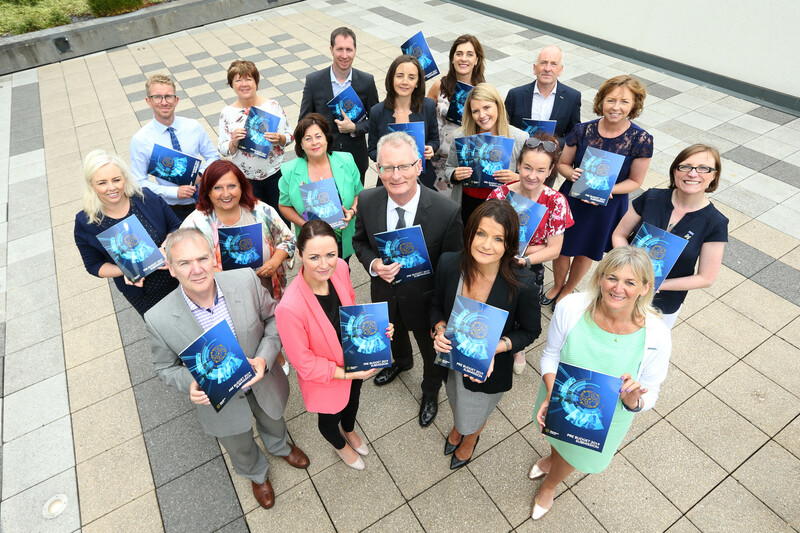 Chambers Ireland Chief Executive Ian Talbot launches Pre Budget Submission 2019 in Athlone with members of the Chamber Network from across the country. Click on Chambers Ireland Budget submission 2019 for further information. 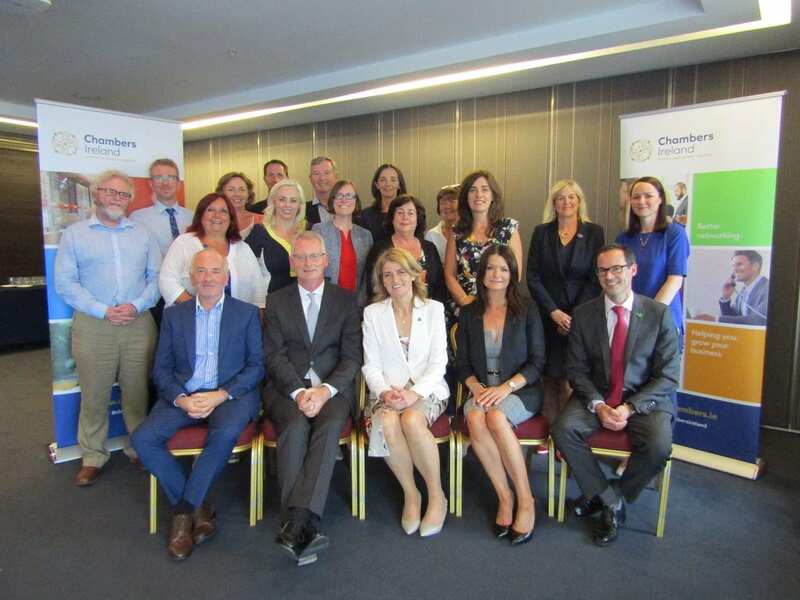 Chambers Ireland network also meet with Paul Kelly CEO Failte Ireland, and heads of the regional marketing departments within Failte Ireland and Discover Ireland. 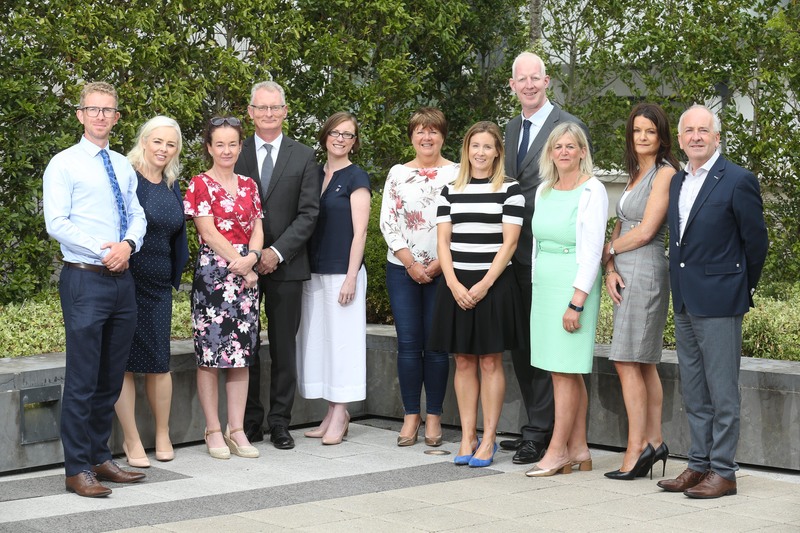 Harty Skillnet Network Manager – Sligo Chamber, Miriam Kennedy Head of the Wild Atlantic Way – Fáilte Ireland, Paul Kelly Chief Executive – Fáilte Ireland, Toni Forrester CEO – Letterkenny Chamber, Helen Downes Chief Executive – Shannon Chamber & Aidan Kelly, President – Tralee Chamber Alliance.